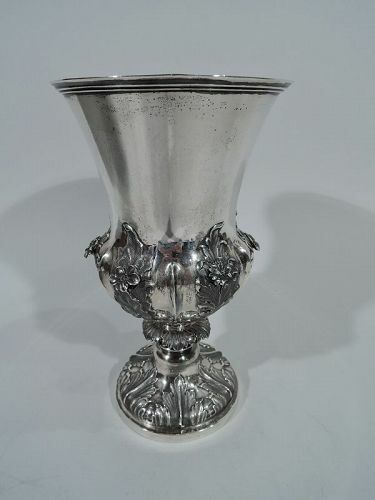 Browse our stunning selection of antique Chinese silver thats' just waiting to be added to your collection. Beautifully crafted and intricately designed, you'll find the perfect addition for your dining room, living room, foyer, kitchen, and more. Our antique Chinese silverware pieces are great collectors items, and are sure to turn heads at your next dinner party or family gathering. 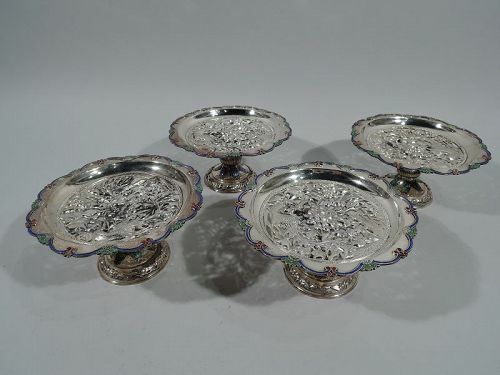 From place card holders and candlesticks to trays and tea sets, our unique assortment of Chinese export silver will definitely make a statement in your home. We also have exquisite bowls, vases, and brooches too! Whether you need antique Chinese silverware to finish your set, or a statement piece to complete your room, we can help you find that missing item youve been searching for. 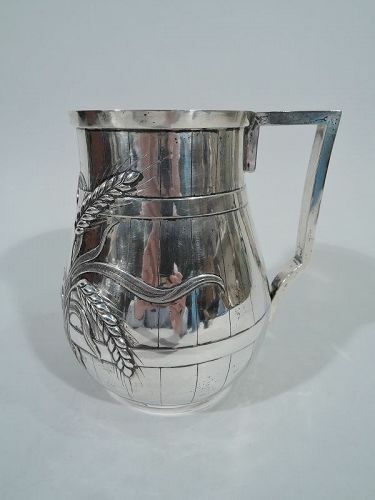 Indian Colonial silver beer barrel mug. Made by Allan & Hayes in Calcutta, ca 1860. Incised staves and chased hoops entwined with fluid grain stalks forming asymmetrical cartouche (vacant). Bracket handle. Gilt interior. Maker’s stamp underside. Condition: Very good with deep patina.